The problem with living in London is that so many awesome Burger places have raised the bar to such a degree, that most run-of-the-mill pub burgers, or even those on the menus at fancier but not specialised restaurants, simply don’t cut the mustard. So it was with some trepidation that I entered BURGER in Edinburgh - A restaurant that boldly claims to offer “Incredibly simple things, incredibly well prepared, cooked and presented”. 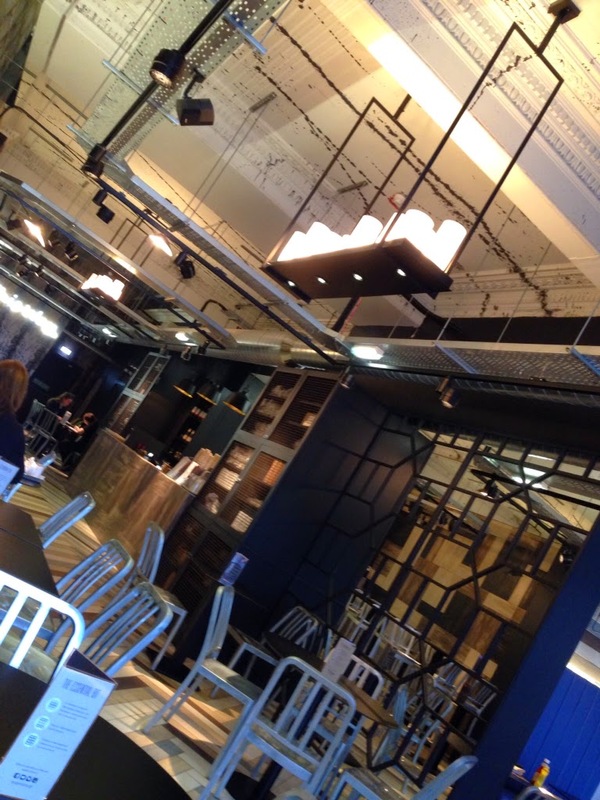 The exposed, industrial look of the place reminded me a lot of a BrewDog bar, with lots of space and plenty of tables dotted around a modern interior. 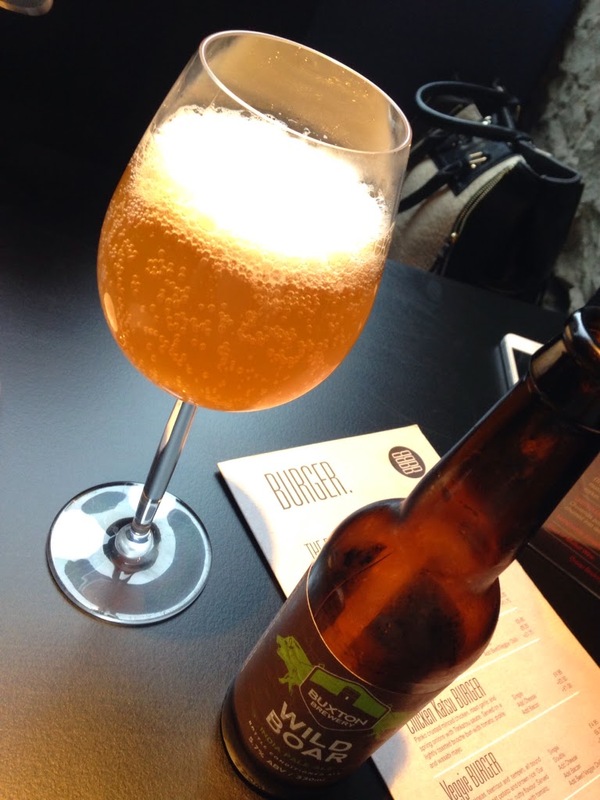 Speaking of the aforementioned dogs, I was glad to see that the beer menu – the first thing I ever look at in a restaurant – featured Punk IPA, a local beer and a good beer, alongside a few other more standard offerings. I also spotted guest beer place holder, which I found out from the waitress was the excellent Buxton brewery’s Wild Boar IPA, a beer which I hastily ordered and devoured with the fervour of a man that had recently spent five hours on trains. 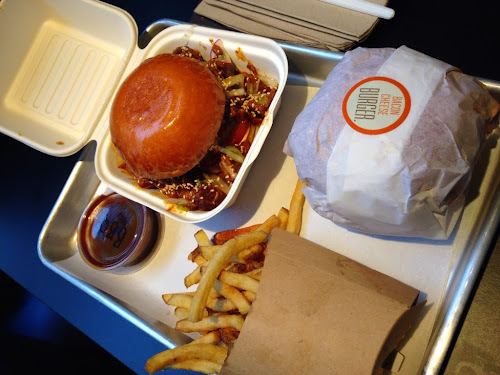 From the food menu I ordered the benchmark of any good burger joint, the bacon double cheeseburger, while Colette opted for the current special, a burger topped with slow cooked Chinese pork, spring onions and a sweet hoi sin style sauce. As usual, Colette chose the winner - the ‘special’ was just that. The meat-on-meat thing is always going to be satisfying but this managed that careful balancing act of still letting the flavourful Aberdeen Angus beef shine through. The pork was meltingly tender and there was just enough chilli kick in the sauce to offset the sweet n stickyness. A great burger. 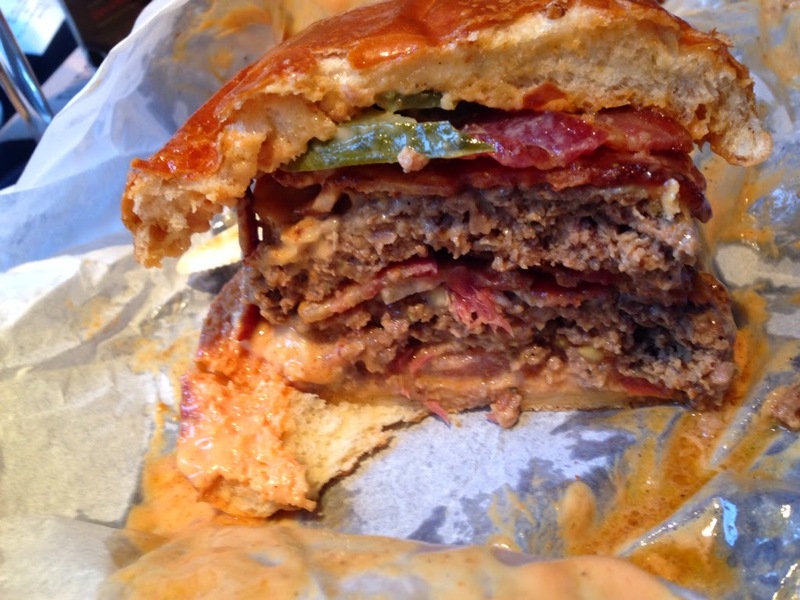 My bacon double cheeseburger was a bit of a messy beast but had great flavour from that top quality Aberdeen Angus patty - though I must admit I would prefer to see both burgers cooked to a blushing pink medium than an (admittedly still very tender) well done. A minor quibble but something which I think could take these burgers to the next level. The fries were decent but nothing mind-blowing, and perhaps a touch too salty. Though they did encourage more glugging of that fantastically bitter and fruity Buxton Wild Boar – a stunning beer I really must buy more of. 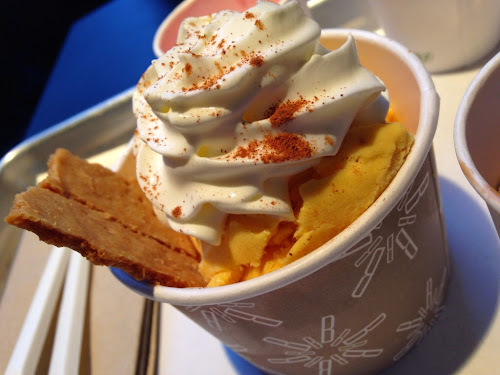 We also tried some of the house-made frozen custards, with the seasonal Pumpkin pie flavour being a highlight for me, with just the right level of spice and earthy pumpkin to offset the sweet creaminess of the custard. All in all I was really impressed with BURGER. 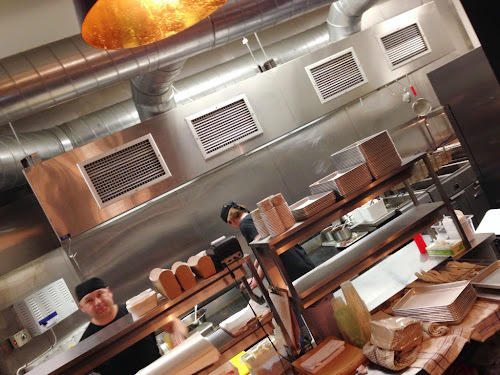 Tasty, well-made burgers – particularly that porky special – alongside a small but well-chosen selection of beers. What more could you want on a chilly afternoon in Edinburgh?